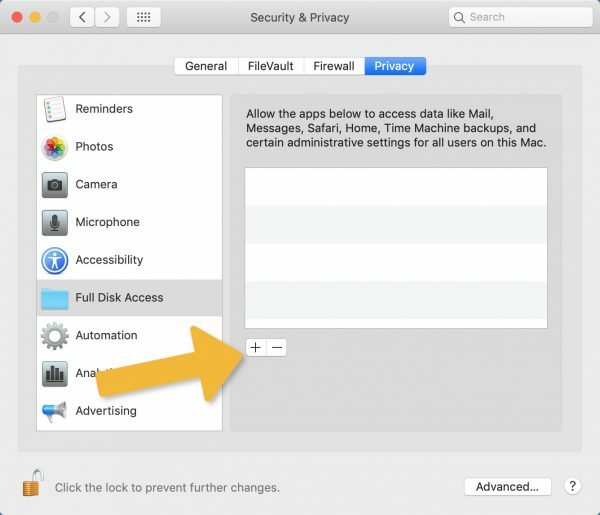 On Apple computers running MacOS Mojave or later, you may receive a notification in Certo iPhone asking for permission to scan your device. 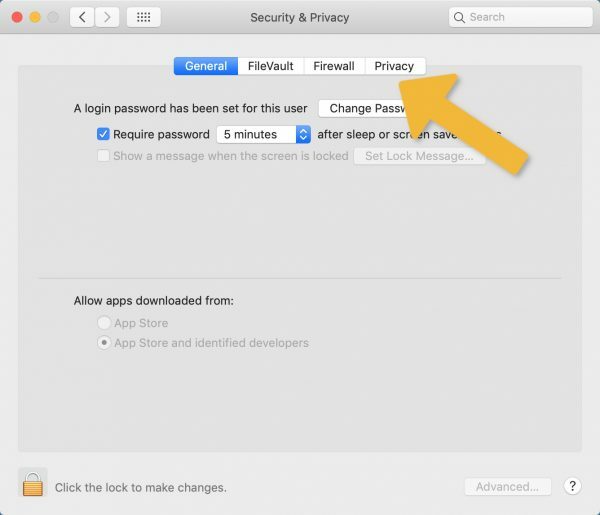 The latest versions of MacOS protect certain folders on your hard disk to ensure malicious apps can’t access your data. One of these folders is the iTunes backup folder. 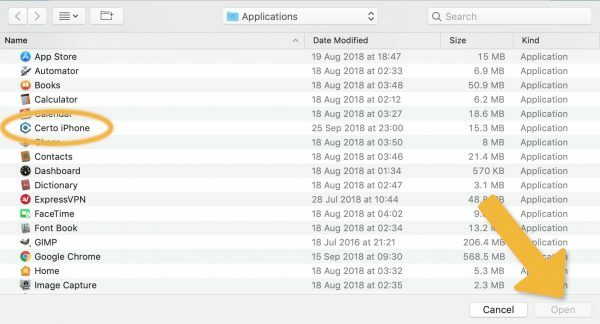 Certo iPhone works by analyzing an iTunes backup of your phone so you’ll need to grant permission for the software to access this folder in order to scan your device. 1. 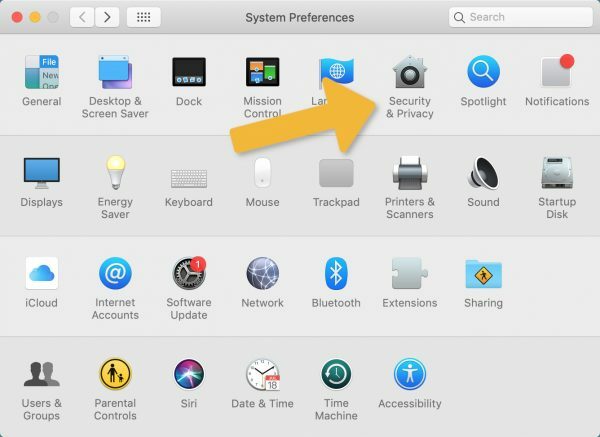 Open System Preferences and click ‘Security & Privacy’. 2. Click the ‘Privacy’ tab. 3. 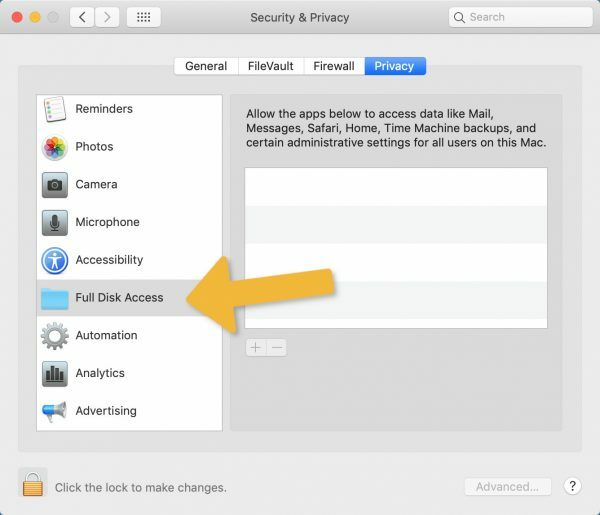 Select ‘Full Disk Access’ on the left-hand side. 4. Click the padlock in the bottom left to make changes. Enter your password if prompted. 5. Click + to add Certo iPhone to the list. 6. Browse to the Applications folder, select Certo iPhone and click ‘Open’. 7. Restart Certo iPhone if prompted. 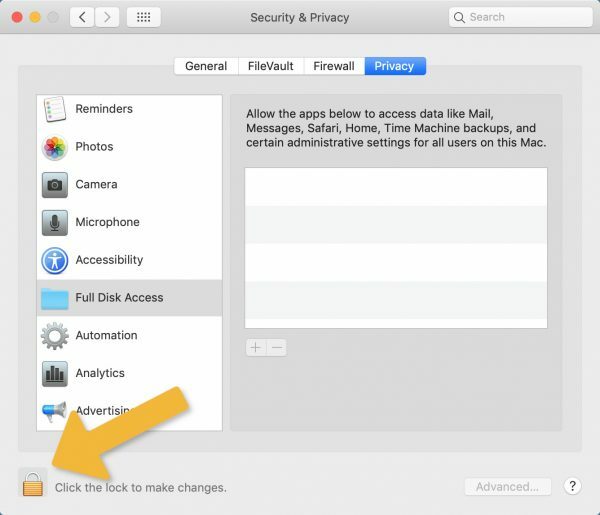 Note: If you’d prefer not to grant permission to the iTunes backup folder, you’ll need to move your backup to a different folder in order to scan it. Click here for instructions.